m SG 12. 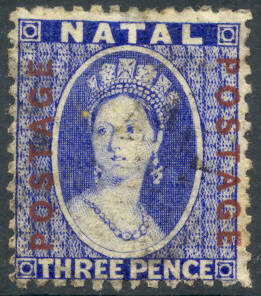 3 d Victoria 1861. (£ 32). m SG 18. 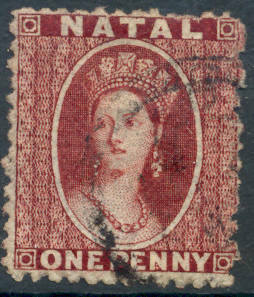 1 d Victoria 1863. (£ 27). m SG 21. 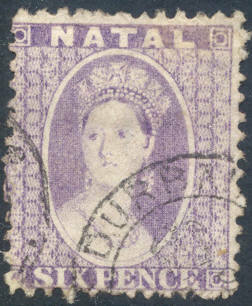 1 d Victoria 1863. (£ 35). m SG 23. 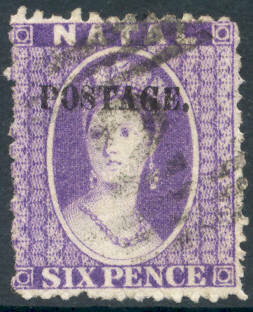 6 d Victoria 1863. (£ 17). m SG 25. 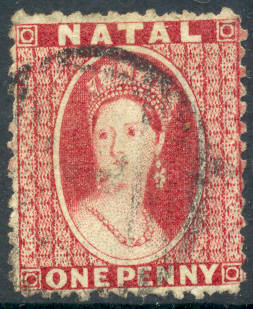 1 s Victoria 1867. (£ 29). m SG 26. 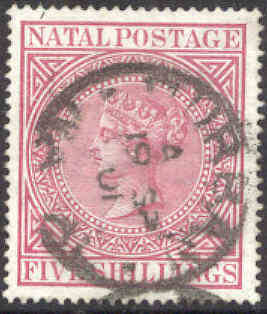 POSTAGE on 1 d Victoria. (£ 75). 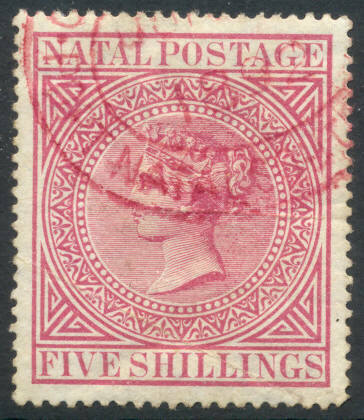 m SG 34 b. Postage on 3 d Victoria 1869. (£ 80). m SG 55. 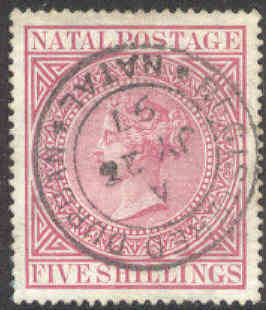 POSTAGE on 6 d Victoria 1869. (£ 50). m SG 60. 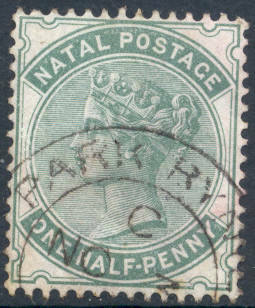 POSTAGE on 1 d Victoria 1870. (£ 13). 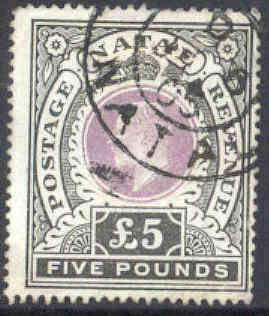 m SG 61. 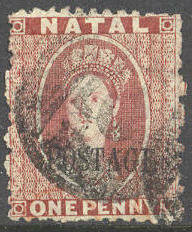 POSTAGE on 3 d Victoria 1870. (£ 13). m SG 63. 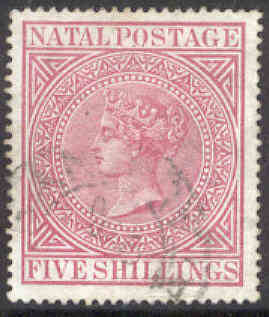 POSTAGE on 1 s Victoria 1873. (£ 20). m SG 71. 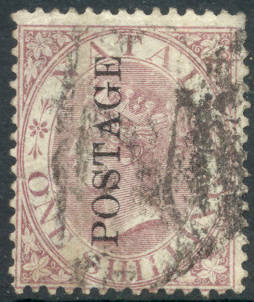 5 s Victoria 1874. (£ 50). m SG 72. 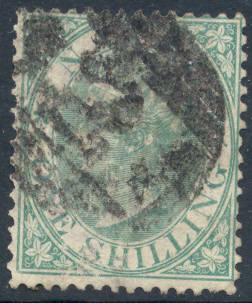 5 shillings Victoria 1874. (£ 28). m SG 72. 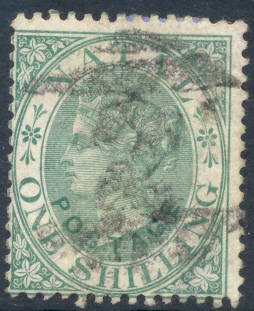 5 shillings Victoria 1874 - fullstemplet "Registered Durban Natal JY.26.97" på velsentrert merke. (£ 28). m SG 77. 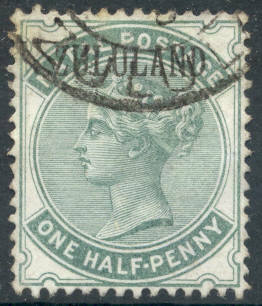 5 s Victoria 1874. (£ 30). m SG 82. 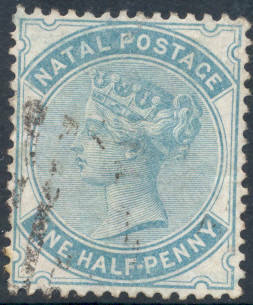 POSTAGE on 1 d Victoria. (£ 50). m SG 91. 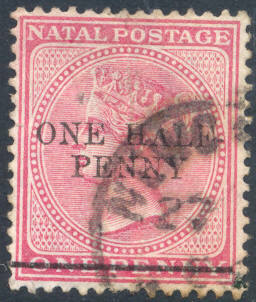 POSTAGE Half Penny on 1 d Victoria 1877. (£ 14). m SG 96. 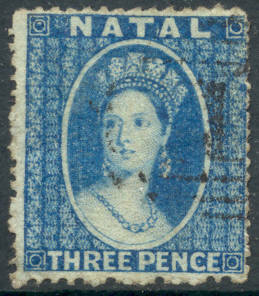 1/2 d Victoria 1880. 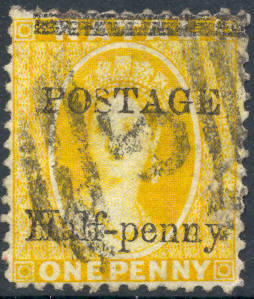 (£ 19). m SG 97. 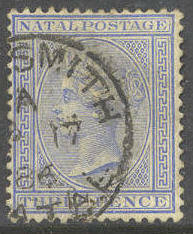 1/2 d Victoria 1882. (£ 16). m SG 97 and 99. 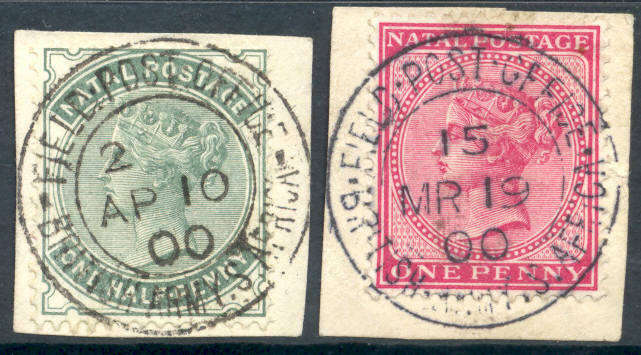 1/2 and 1 d Victoria - both cancelled "Field Post Office British Army S. Africa". m SG 100. 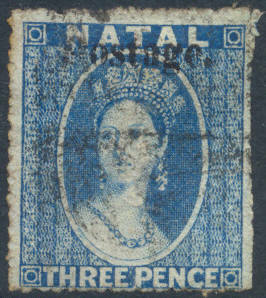 3 d Victoria 1882. (£ 17). m SG 104. 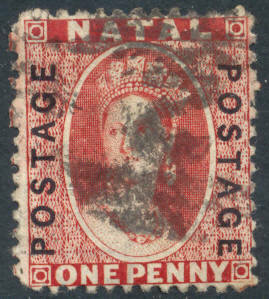 ONE HALF PENNY on 1 d Victoria 1885. (£ 11). m SG 109. 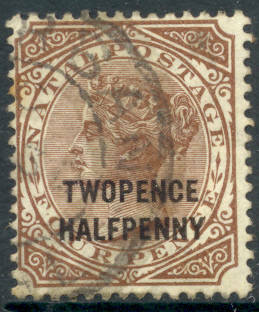 TWOPENCE HALFPENNY on 4 d Victoria 1891. (£ 11). m SG 133. 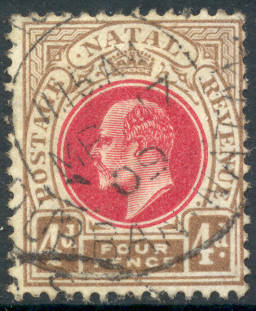 4 d Edward VII 1902. (£ 17). m SG 134. 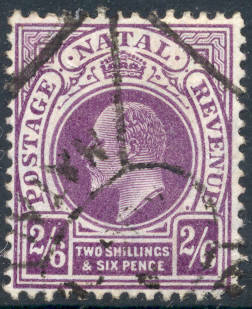 2 s 6 d Edward VII 1902. (£ 12). m SG 137. 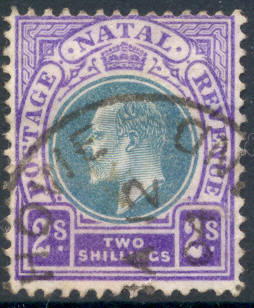 2 s Edward VII 1902. (£ 9). m SG 140. 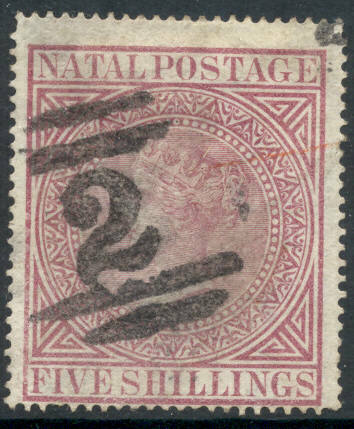 5 s Edward VII 1902 - with beautiful cancellation "Parcels Durban Natal DE 14 08". m SG 141. 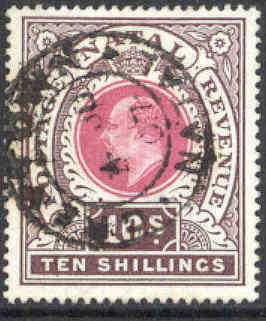 10 shillings Edward VII 1902 - litt uklart fullstemplet merke. (£ 24). m SG 143. 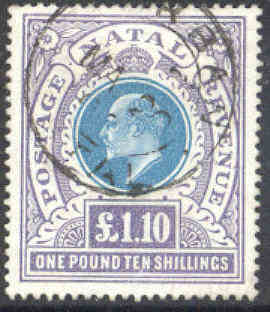 £ 1.10 Edward VII 1902 - lettstemplet pent merke. (£ 65). m SG 144. 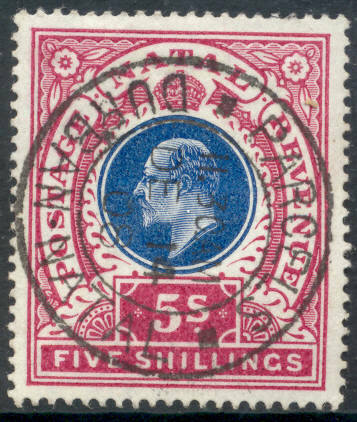 £ 5 Edward VII 1902 - pent rundstemplet merke. (£ 325).